From time to time we hold events to encourage authors who write stories about Pets–Non-fiction or Fiction. We believe deeply that educating pet owners concerning the responsibilities of pet ownership is ultimately the answer to the problems for pets in need, and pet advocacy organizations who struggle year after year rehabilitating pets mentally and physically—to find and place them in forever Homes. We need pet’s stories told—-most of the pets who find their way to rescues and shelters have an unknown past. We need to help those animals tell their story. We need to share experiences bonding, and connecting with our pets through the creative minds of authors who deserve a chance to have their pet tales published. 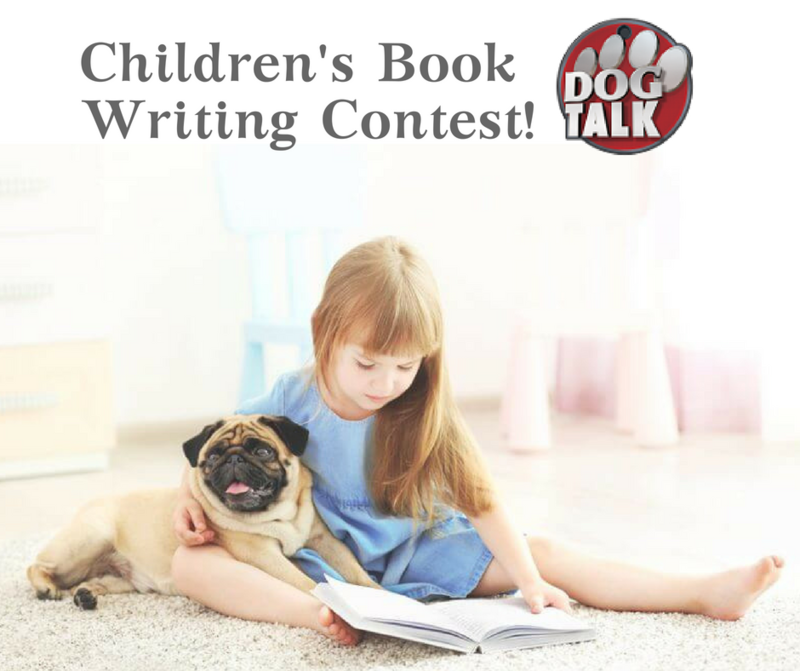 We challenge unpublished Arkansas Authors to submit a manuscript about Dogs or Cats. (between 2000 and 75 hundred words) in PDF or Word File to: Lfloyd10@cox.net We will sponsor an editor—an illustrator and a publisher—all of whom we have employed for many years—and recommend highly. We will choose one submitted manuscript and will guide the author through the process–to publication. We will publish 100 copies of the book for the author and guide them toward promotion. Mr. Larry Floyd–Editor at Turnkey Communications will select the winning book. The Illustrator for the author’s book will be selected by collaboration with the winning author and Larry Floyd. Eligibility: Residents of Oklahoma or Arkansas only. Employees of Dog Talk TV, its affiliates, subsidiaries, advertising and promotion agencies, and suppliers, (collectively the “Employees”), and immediate family members and/or those living in the same household of Employees are not eligible to participate in the Campaign. The Campaign is subject to all applicable federal, state, and local laws and regulations. Void where prohibited. PLEASE NOTE: Previous contest winners are not eligible. Campaign Period: Entries will be accepted online starting on 8/30/2018 and ending 10/30/2018. All online entries must be received by midnight on 010/30/2018. How to Enter: The Campaign must be entered by submitting an original story emailed to Lfloyd10@cox.net The entry must fulfill all Campaign requirements, as specified, to be eligible to win. Entries that are incomplete or do not adhere to the rules or specifications may be disqualified at the sole discretion of Dog Talk TV. If You use fraudulent methods or otherwise attempt to circumvent the rules, your submission may be removed from eligibility at the sole discretion of Dog Talk TV. Prizes: The Winner of the Campaign (the “Winner”) will have their original work published and illustrated. Actual/appraised value may differ at time of prize award. The specifics of the prize shall be solely determined by Dog Talk TV. No cash or other prize substitution shall be permitted except Dog Talk Tv’s discretion. The prize is nontransferable. Any and all prize-related expenses, including without limitation any and all federal, state, and/or local taxes, shall be the sole responsibility of Winner. No substitution of prize or transfer/assignment of prize to others or request for the cash equivalent by Winner is permitted. Acceptance of prize constitutes permission for Dog Talk TV to use Winner’s name, likeness, and entry for purposes of advertising and trade without further compensation, unless prohibited by law. Winner Selection and Notification: Winner will be selected by Larry Floyd and Pat Becker. Winner will be notified by Facebook message or email within five (5) days following selection of Winner. Dog Talk TV shall have no liability for Winner’s failure to receive notices due to spam, junk e-mail or other security settings or for Winner’s provision of incorrect or otherwise non-functioning contact information. If Winner cannot be contacted, is ineligible, fails to claim the prize within 10 days from the time award notification was sent, or fails to timely return a completed and executed declaration and release as required, the prize may be forfeited and an alternate Winner selected. Receipt by Winner of the prize offered in this Campaign is conditioned upon compliance with any and all federal, state, and local laws and regulations. ANY VIOLATION OF THESE OFFICIAL RULES BY WINNER (AT Dog Talk TV‘S SOLE DISCRETION) WILL RESULT IN WINNER’S DISQUALIFICATION AS WINNER OF THE CAMPAIGN, AND ALL PRIVILEGES AS WINNER WILL BE IMMEDIATELY TERMINATED. Disputes: THIS Campaign IS GOVERNED BY THE LAWS OF United States AND Arkansas, WITHOUT RESPECT TO CONFLICT OF LAW DOCTRINES. As a condition of participating in this Campaign, participant agrees that any and all disputes that cannot be resolved between the parties, and causes of action arising out of or connected with this Campaign, shall be resolved individually, without resort to any form of class action, exclusively before a court located in Arkansas having jurisdiction. Further, in any such dispute, under no circumstances shall participant be permitted to obtain awards for, and hereby waives all rights to, punitive, incidental, or consequential damages, including reasonable attorney’s fees, other than participant’s actual out-of-pocket expenses (i.e. costs associated with entering this Campaign). Participant further waives all rights to have damages multiplied or increased.